Suspected hoodlums on Saturday attacked the campaign convoy of the All Progressives Congress in the Dei-Dei axis of the Federal Capital Territory, Abuja. The APC campaign convoy comprising the FCT Minister’s Chief of Staff, Bashir Mai-Borno, the APC Chairman in the FCT, Abdulmalik Usman, the Director-General, FCT Campaign Council, Musa Mohammed, candidates of the party to various offices in the forthcoming election as well as other supporters, was attacked while on its way to the palace of the Sarkin Jiwa. About nine vehicles in the convoy were set ablaze while several others had their windscreens smashed. The APC convoy was reportedly pelted with rocks and other deadly missiles while few individuals sustained injuries in the attack. The Media aide to the FCT Minister, Abubakar Sani, explained in a statement that other motorists were also not spared as their vehicles suffered serious damage, adding that no life was lost. The hoodlums were said to have blockaded the road around the Timber Market, DeiDei, preventing the APC convoy from proceeding to the palace of the Sarkin Jiwa. They were said to have taken advantage of a Peoples Democratic Party rally which was also being held around the Dei Dei Timber Market, to unleash mayhem on the APC Campaign convoy. The security detail attached to the office of the FCT Minister and others covering the event, however, responded by firing shots in the air to calm the situation. Unfortunately, the convoy was attacked again around the same spot while it was returning from the palace and heading to the grand finale of the APC FCT Campaign at the Old Parade Ground. It was during this second confrontation that nine vehicles were set ablaze. Reacting after the incident, Mohammed described the attack as unfortunate, adding that intelligence information suggested that the attack might be premeditated. The DG was, however, quick to dispel the notion that some PDP supporters or ethnic elements were behind the incident. TOS TELEVISION NETWORK, popularly known as TOS TV, is a digital news and content development platform that focuses on politics, business, entertainment, and development across Africa. 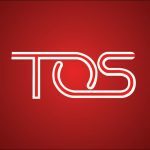 TOS TV Network is a digital media and content development platform which offers accurate news on politics, business, entertainment, development from Africa, by Africans.